Vanistan engine oil cooler kits put a lid on high engine oil temperatures and put an end to flickering warning lights and terrifying buzzers. Keeping temps below 230ºF extends the life of your engine oil, too, so you can get optimal service for the maximum mileage, saving money and resources while protecting your engine for the long run. 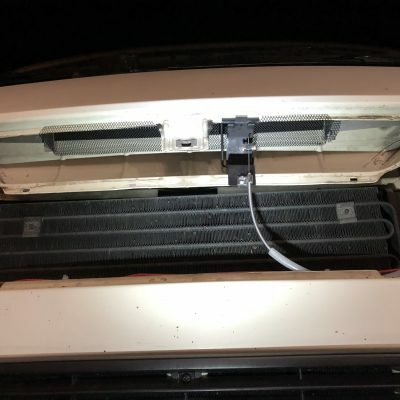 Our oil cooler assemblies install neatly inside the Vanagon’s right-rear D-pillar box cavity to use air that flows naturally down the rear body pillar ducts for cooling. 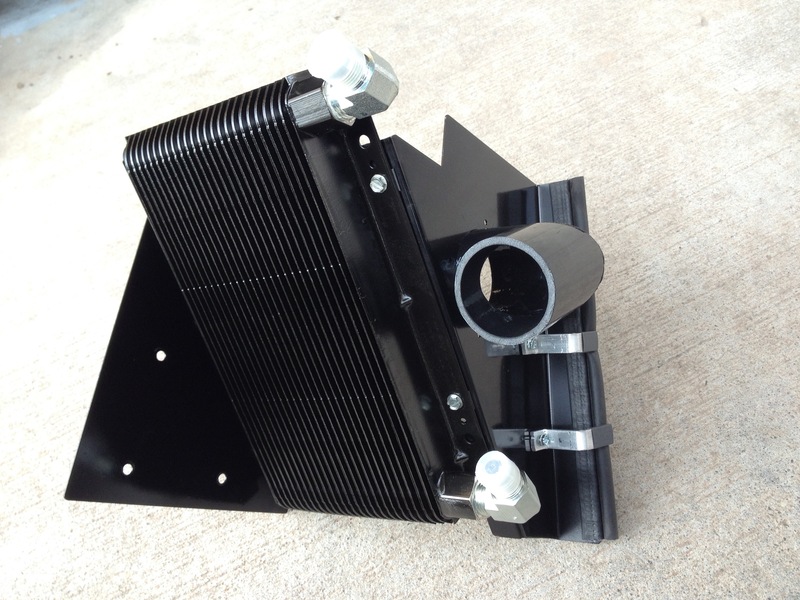 Closely-fitted mounting panels channel the airflow thru a top-quality oil-to-air heat exchanger. 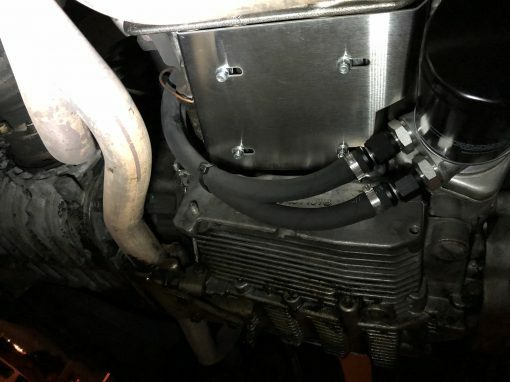 Oil flow to the cooler is controlled by a Mocal sandwich adapter unit with thermostatic bypass valve, so full engine warmup is never delayed and oil is never overcooled. 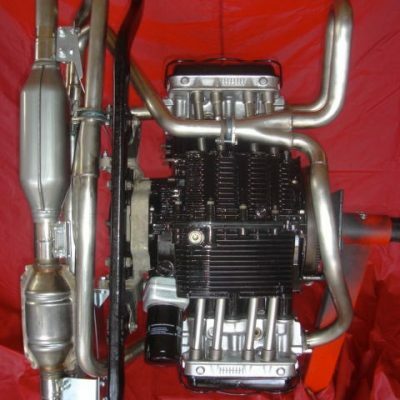 Both kits also allow the engine to continue to get its intake air directly from the pillar duct, where the air is cooler and cleaner. 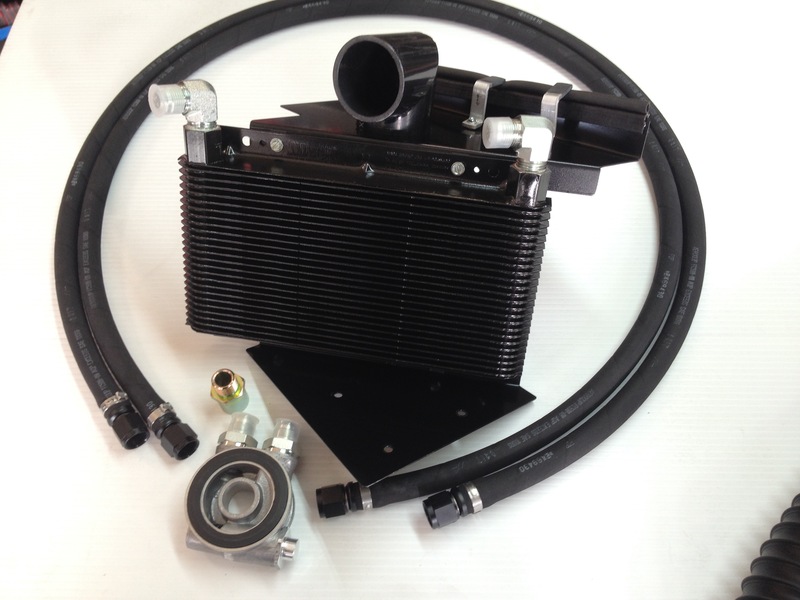 The Basic Oil Cooler Kit is for Vanagons driven mainly on-road. 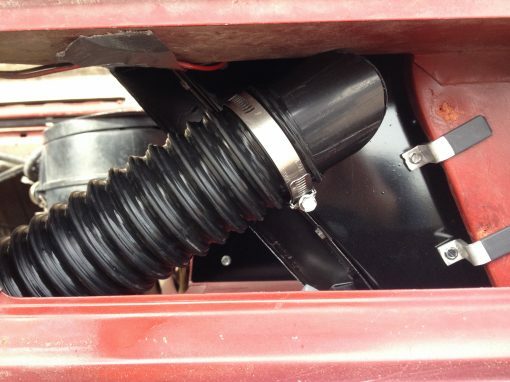 Vehicle speed creates all the cooling airflow your waterboxer engine needs. Installation is easy in about 2 hours using common tools. Long’s 24-row oil/air heat exchanger. 18ga. painted steel fitted mounting panels. Mocal sandwich adapter with thermal bypass-valve. Aeroquip black AN-8 hoses with black anodized end fittings and stainless crimp clamps. Black rubber engine intake air duct hose, coupler pipe and stainless clamps. Every part, fitting and fastener needed. 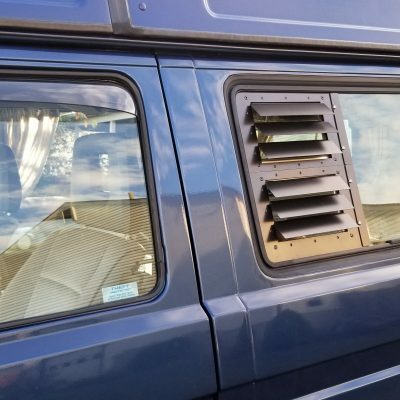 Basic cooler unit will fit any 2WD wasserboxer Vanagon. Basic cooler unit will not fit Syncro Vanagons, Syncro must use Deluxe Oil Cooler Kit. Will not fit T3 Doka and Sika trucks, or aircooled engines. 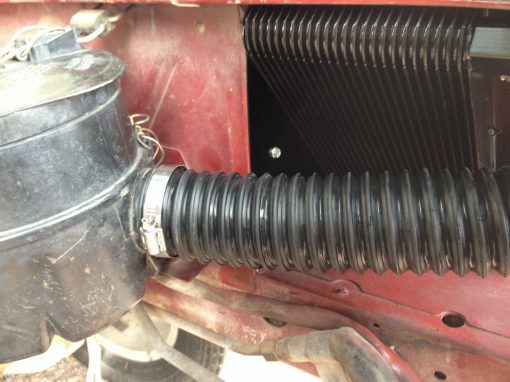 Please note that if your engine DOES NOT have oil/water heat exchanger above oil filter the kit will cost $90 more for special plumbing parts to install the sandwich adapter.